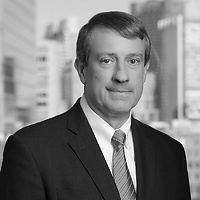 Nelson G. Apjohn, a member of Nutter’s Litigation Department, were featured in the article “And The Defense Wins” about the firm’s defense win in Hussey v. Hyundai Motor America in The Voice, DRI’s weekly e-newsletter. Nelson successfully represented Hyundai Motor America in a product liability trial in Bristol County Superior Court on February 18, 2016, in which a Massachusetts Superior Court jury returned a defense verdict after less than a day of deliberation. DRI is an international membership organization of attorneys defending the interests of businesses and individuals in civil litigation.